Two cows heading up a herd going down a road to a pasture. An open field on the left and treed hillside on the right. A stone wall with a wood and wire fence divides the road from the field. 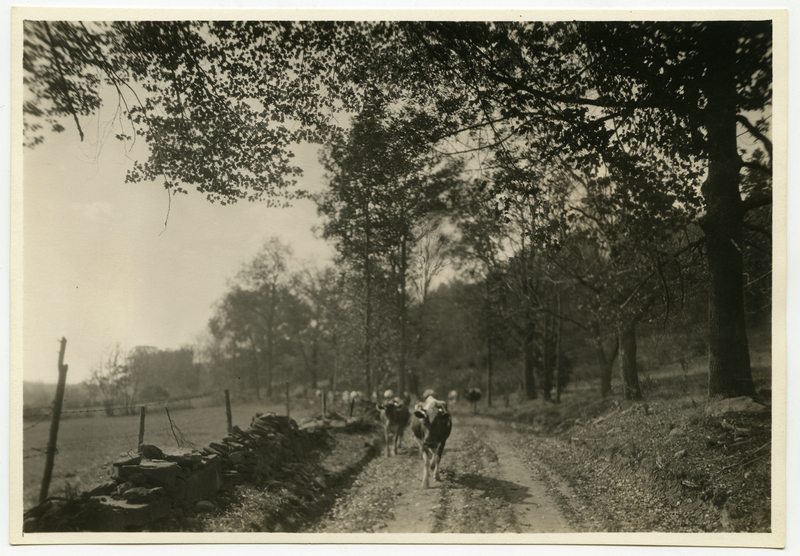 Johnson, Clifton, 1865-1940, “On the way to the pasture,” Digital Amherst, accessed April 24, 2019, http://digitalamherst.org/items/show/2677.